The American Society of Mechanical Engineers (ASME) was founded in 1880 as a professional organization dedicated to improve public and industrial safety as well as the professional, academic, and social development of its members. Today, over a century later, ASME has grown to have more than 122,000 members worldwide, including 23,000 student members, and an annual budget of $40 million. 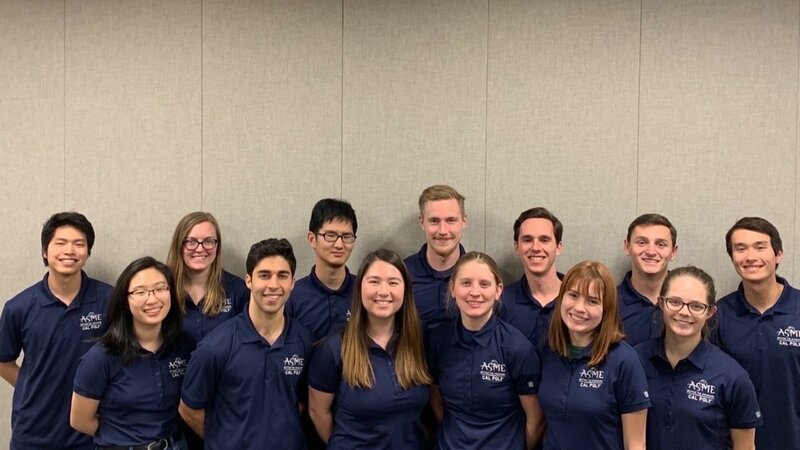 As a result of the organization's growth, ASME has become a major resource for information, education, and professional development in the mechanical engineering field. The Cal Poly chapter of ASME, in San Luis Obispo, was founded in 1951 and is dedicated to carry on the goals and objectives of ASME. Our purpose as a student chapter is to provide information to students about the mechanical engineering profession, encourage and promote interaction between students and representatives from industry, and give students the opportunity to further their development within the field. Currently the Cal Poly chapter organizes and hosts career networking events, engineering design competitions, company tours, ASME student conferences, and a lot more fun events for students.